What's your child's favorite nursery rhyme? 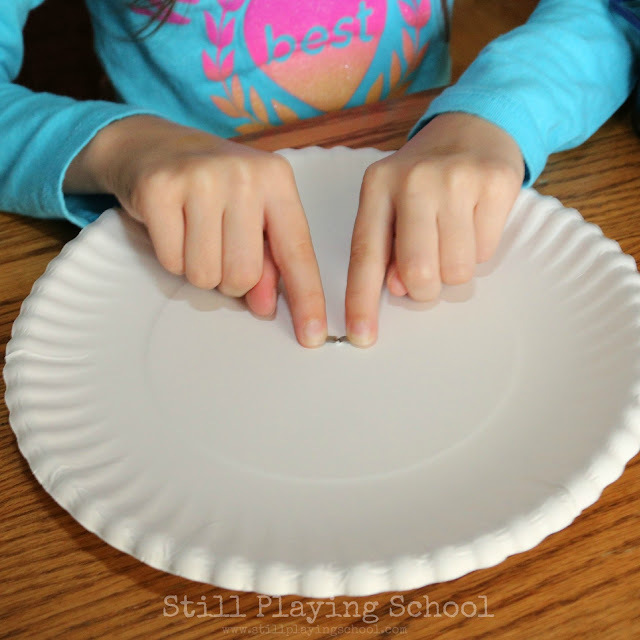 We love Hey Diddle Diddle so we created an interactive fine motor craft. 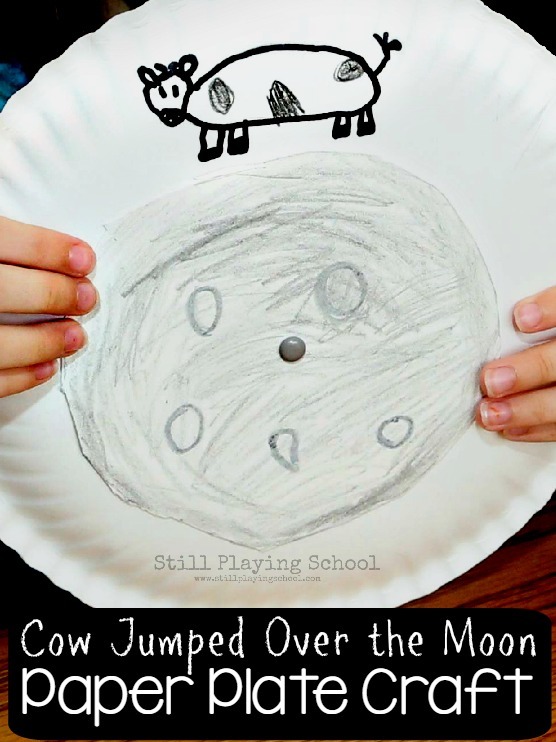 As your child turns the paper plates to have the cow jump over the moon you can work on teaching prepositional position words, too! Are you ready to make a cow that actually jumps over the moon? You'll need two paper plates, kids' scissors, a brad, and crayons or markers for this craft. Cut out the inner circle of one paper plate. 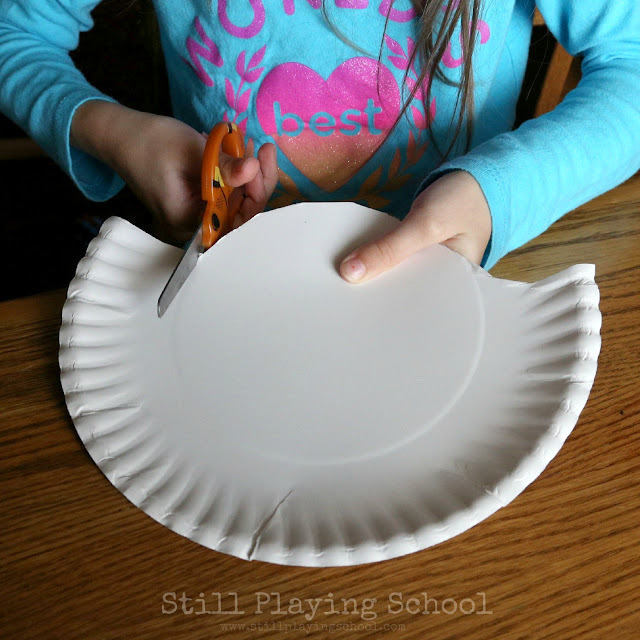 Cutting something sturdy like paper plates is great practice for beginning scissor skills! Decorate the circle to look like the moon. I told our daughter that she could make a full or crescent moon. 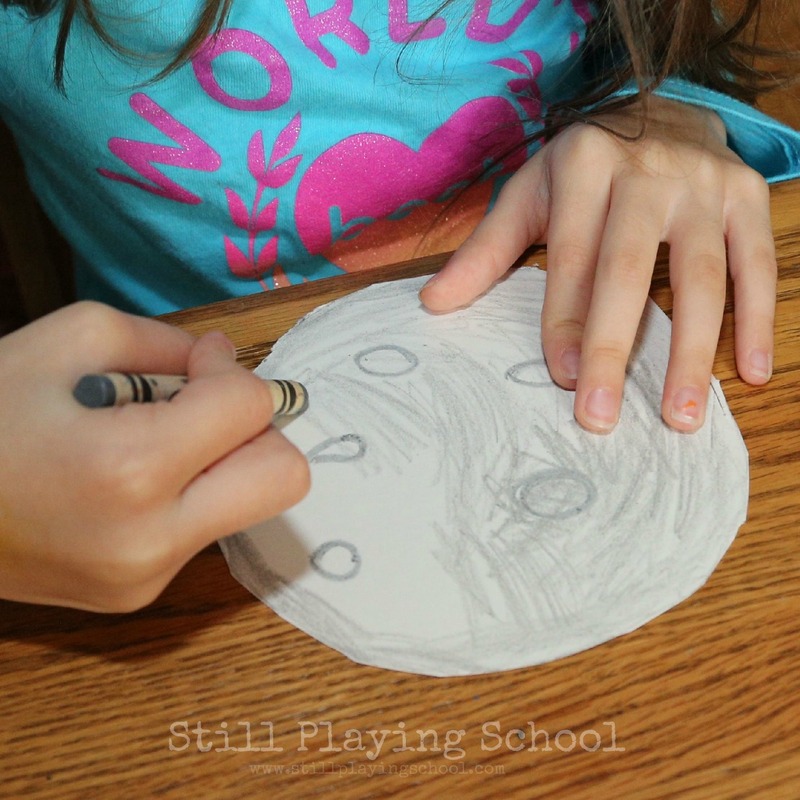 She chose a full moon but if you want to try a half moon you'll still need to leave the circle intact but only color half of it. 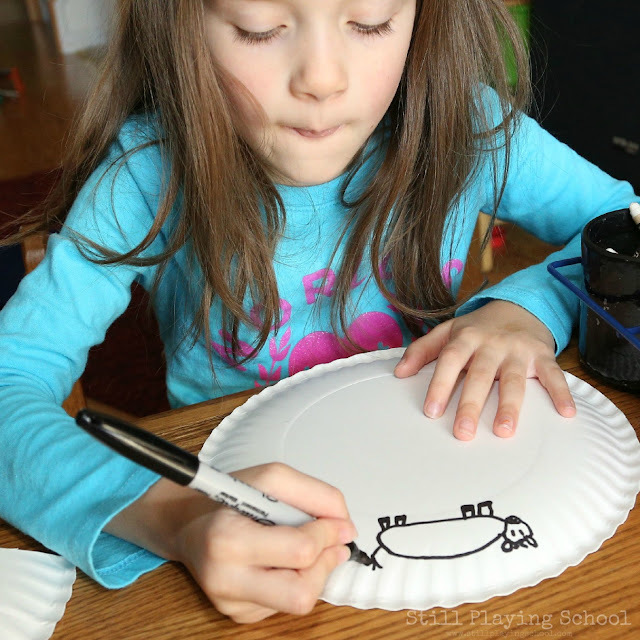 Draw a cow on the outside rim on the back of the second paper plate. You could also try to find cow stickers that would work well! Attach the two plates together with a craft brad. Children will need assistance with this part as the brads can be sharp. I poked holes in our plates first to help with this step, too. Holding on the the moon, children can twist the cow plate to make the cow jump over the moon! We used this Hey Diddle Diddle craft to practice position words. "Can you put your cow over the moon? Now he is beside the moon! How could you put the cow under the moon?" 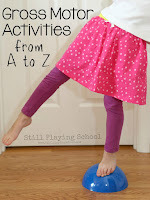 Printable Preschool Nursery Rhymes Journal by Fun-A-Day! That is so clever and creative! Our kids dressed as the Hey Diddle Diddle nursery rhyme last year. One was the moon with a cow jumping over him. Since they already have this rhyme memorized and are connected to it, your craft will have a special meaning for them. 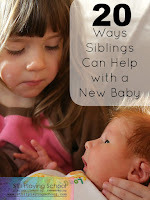 We will have to try it! Thank you so much. Thanks for sharing your views through this blog.Education plays an important for good life and especially primary education. Every student must be educated and taught from very beginning for their betterment and good future. Sarvottam Noida provides all the basic education with best facilities and infrastructure.